Today’s the day Apple finally unveils the iPhone 6 and perhaps even the long-awaited iWatch. A new mobile payments system, HealthKit, HomeKit, and other cool features from iOS 8 are also expected to be revealed in great detail. We’ll be in attendance at the event to get our first look at Apple’s latest offerings, but if you weren’t invited, have no fear. Apple has a livestream set up on its website. Here’s how to watch it and a brief overview of what we expect to see during the presentation. Mac: Apple will livestream the event on its website at 10 a.m. PST (1 p.m. EST). You can watch the livestream on this dedicated webpage, but you’ll have to do it using Apple’s Web browser Safari 5.1.10 or later on an Apple computer, running Mac OS X 10.6.8. You can also view the event on any iPhone, iPad, or iPod Touch with iOS 6 onboard via the Safari mobile app. Those of you who have a second or third generation Apple TV at home can stream the event on the big screen, so long as you have firmware 6.2 or later installed. If you don’t have a compatible device or the necessary software for viewing the official livestream, you can always stay tuned to Digital Trends. We’ll be at the event in San Francisco, posting hands-on videos, photos, news, analysis and more live. PC: You can live stream the event on a PC with VLC Media Player. Download and install the software. Open the program and click on Media followed by Open Network Stream. Copy the following link, paste it into the field, and click play: http://p.events-delivery.apple.com.edgesuite.net/14pijnadfpvkjnfvpijhabdfvpijbadfv09/m3u8/atv_mvp.m3u8. Update: The above stream is shifting around to various parts of the announcement. This Reddit thread is regularly being updated with different streams that may work better for PC users. Now let’s take a look at what we expect to see at the Apple event. Apple is guaranteed to unveil at least two different versions of the iPhone 6 at the event. Both models should sport Apple’s A8 processor, a better camera, higher resolution sapphire screens, NFC, and a super thin design. 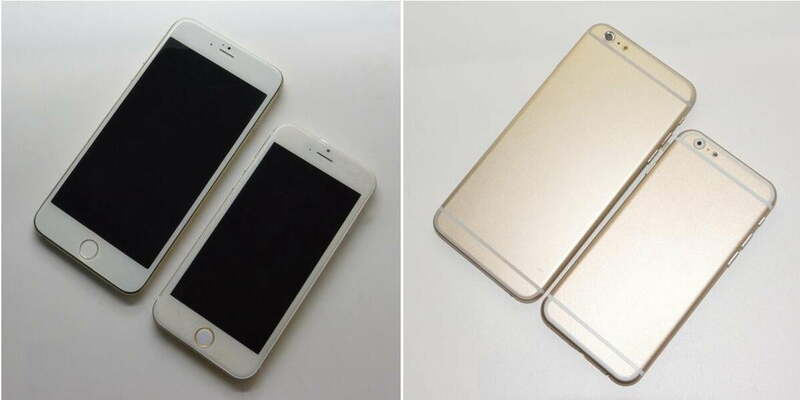 The main difference between the two iPhone 6 models is the screen size. One will have a 4.7-inch screen, while the other will feature a phablet-sized 5.5-inch screen. It’s unclear whether Apple plans to do away with the 4-inch form factor for good, or if it will launch other smaller iPhones in the future. Although no rumors have hinted that Apple will make more small iPhones or another cheaper iPhone like the 5C, both of those scenarios are entirely possible. After all, there are a few people out there who still want a 4-inch iPhone. Apple has kept the iWatch almost completely under wraps this whole time. Not one single picture of Apple’s first wearable has leaked on the Internet, even though rumors about the iWatch have existed in one form or another since 2010. Thanks to the New York Times and the Wall Street Journal, we know that the iWatch will have a curved OLED screen, feature NFC for mobile payments, and come in two different sizes. Most reports agree that although Apple will showcase the iWatch at today’s event, it won’t ship the wearable to customers until 2015. Even though we caught a glimpse of iOS 8 at WWDC 2014 this past June, it was only the developers’ preview. Apple will show off the full power of iOS 8 on the iPhone 6 during tomorrow’s event. We expect to learn more about HealthKit, HomeKit, NFC-based mobile payments, among other things. If Apple sticks with tradition, iOS 8 will be available for download on all compatible iOS devices on September 10, the day after the event.